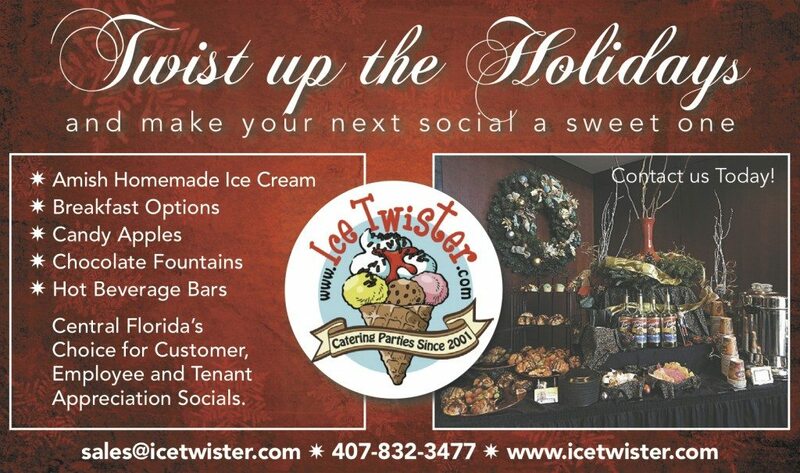 Ice Twister’s Hot and Cold Breakfast Buffets and Coffee & Cappuccino Bar Socials are the perfect way to start off your morning in the office! Of course, our delicious Pastry Breakfast we’ve always offered is still just as delicious as it’s always been; from freshly baked homemade cinnamon rolls to mini danishes, bagels with cream cheese, and assorted muffins. Also, we provide a delicious Orlando Catered Breakfast that is guaranteed to make your event unforgettable! For something new and delicious, we now offer a Hot Breakfast menu with items such as honey baked ham, fresh morning potatoes, croissant sandwiches, breakfast burritos and more! We also offer Orange Juice and Premium Arabica Blend coffee and/or espresso, made fresh and delivered to your office doorstep just in time to wake up your staff. 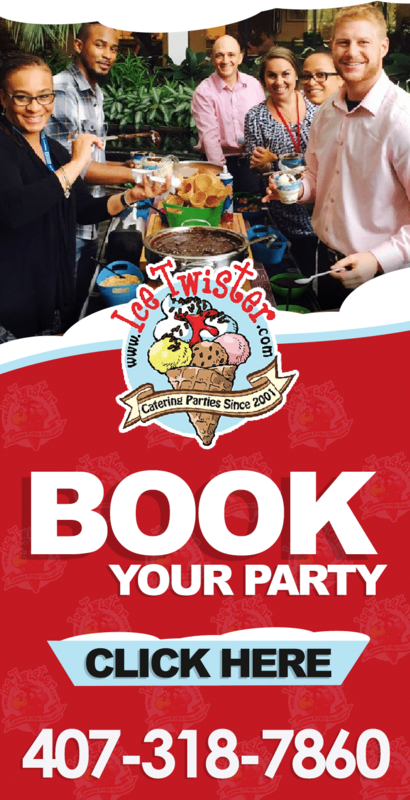 Throw a real Employee Appreciation Event with an Employee Appreciation Breakfast from Ice Twister! Mini Danishes, Rasberry Twists, Cheese Pockets, Cinnamon Log/Rolls, Chocolate Chip Danish Éclairs, Sticky Buns, Assorted Muffins, Mini Bagels & Croissants with Cream Cheese. Naturally, there’s Flavored Regular & Decaf Arabica Coffee Bar & Florida Orange Juice. 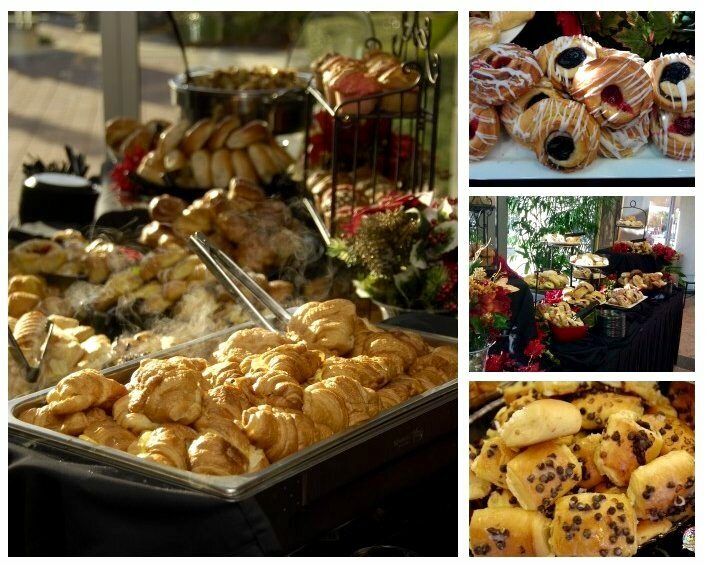 Click here to see a video of "Breakfast Pastry Social" Breakfast Catering Social! Low-Fat Yogurt, Granola, assorted Fresh and Dry Fruits, Nuts & Honey. Assorted Variety of Petite Quiches Freshly Baked in a Buttery Crust. Chef’s Tender and Juicy Sausage (patty). Served w/ a Fruit Basket: Assorted Whole Fruit (Apples, Oranges & Bananas). Layered w/ Egg, Cheddar Cheese & an Assortment of Ham, Bacon or Sausage on a Freshly Baked Croissant. English Muffin layered with Turkey Sausage, Egg Whites and Low-Fat Cheese. Breakfast Pastry Social (listed above), plus Build Your Own Chef’s Scrambled Bowl, w/ choice of: Eggs, Sausage, Diced Ham, Bell Peppers, Mexican Blend Cheese, Fresh Salsa, Chives & Warm Flour Tortillas. Chef’s Scrambled Eggs topped w/ Cheddar Cheese. Homemade Roasted Rosemary Redskin Potatoes Seasoned to Perfection. Choice of Chef’s selection of Honey Baked Ham or Sausage. Served w/ an assorted Whole Fruit Basket (Apples, Oranges, & Bananas). 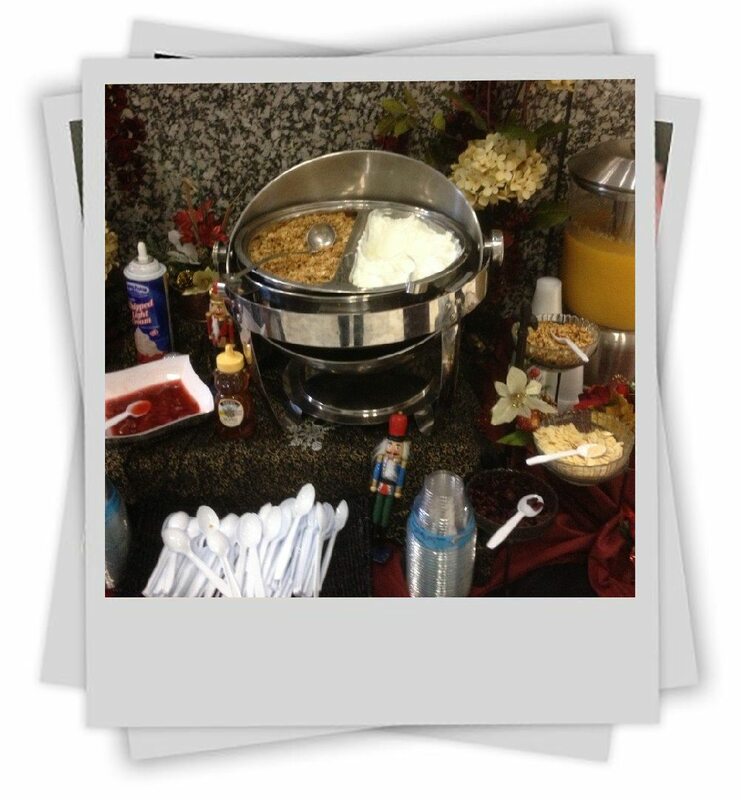 Click HERE to see a video of "Chef's Hot Breakfast" Breakfast Catering Social!